I love this giveaway! I was just telling my confused husband why I needed another bag for the summer. This one would be perfect! I follow you. The tote is amazing and perfect for summer! I want! I want! Great giveaway! I am in love with this bag!! It is perfect! :-) I "liked" Ella fly's FB page, but I am not on Twitter, so I can't be a follower. What an awesome giveaway, that bag is great! I'm a follower and Twitter friend! such a lovely bag. i love this idea. and the photos are wonderful. im still waiting for an international giveaway- your giveaways are the best. hope youre having a wonderful weekend and that youve had a nice week! Oh no!! US and Canadian residents only?! Anyways, i love the bag and Erika honey, I have been following you for ages. Great blog! Great personality! I haven't been here for a while but i will soon be steady. Take care. Erika, can you enter me into these contests so I can maybe win something for my girlfriend? (please :) She would look great sporting that bag on her arm if we ever took a European trip! (or stayed local). Love that bag. Great giveaway. I follow you on blogger, I tweeted about the giveaway and follow Ella Fly on Twitter @sarbear909, I also liked EllaFly's facebook page. The bag is so cute. I'd love to be in Paris with a freshly baked baguette right now. Great giveaway! i've become a follower of ella fly on twitter and liked her fb fan page! I have done twitter (ccoursey) and FB! 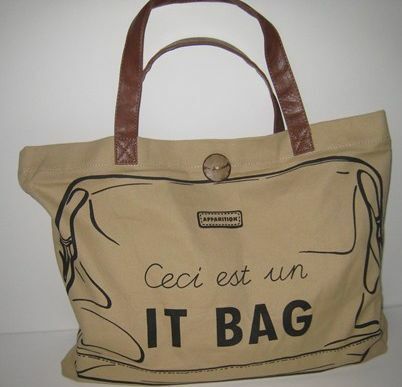 This would be the perfect bday present for my sister who is dating a french man and now loves everything french! This is incredibly adorable. It'll definitely make someone's summer. Oh la la I am a follower as well! They're beautiful! And hooray for contests open to Canadians. Merci bien, MS. Fashionista! you have such great giveaways! wish i lived in the us! This is a great giveaway for summer. I'm a follower. btw, I'm already a follower of your blog! love your great ideas and cool giveaways! I absolutely love this purse. So cute! What a fab giveaway! Love the bag. I'm a follower, my dear. Have a great weekend! wow ive been wanting that bag forever. im a follower via google reader! Ooooh, what a fantastic giveaway! I did everything, including become a follower :) LOVE this bag! Thank you! Such funny bags. I love the satirical quality. please enter me for the contest my fingers are crossed!! I am following Cafe Fashionsta and Ella Fly on twitter. I tweeted the contest. I am @kammikoza. I am a fan of Ella Fly and sent Cafe Fashionsta friend req on facebook. I shared the contest with over 400 friends on fb. I am a subscriber of Ella Fly and Cafe Fashionsta blogs/newsletters. Cute bag! You always have the best give-a-ways! Happy Friday Erika! YAY!!! Of course I follow you lovely! I don't do Facebook but that bag is so cute! I am a follower and twitted the giveaway under lattegirl70. Very cute giveaway indeed!!! I am a follower and liker - please enter me in the giveaway! great give away! and i am a follower! I LOVE this bag - gutted it's only for US and Canadian residents! ooooo. i loves me the giveaways. what a wonderful giveaway- love the bag! i am a follower and i tweeted about the giveaway! Great summer tote! I'd love to win this! Love following you on Google Reader, and now I like Ella Fly on Facebook, and am a follower on Twitter of you! I am in definate need of a new summer bag!!!! Became a follower of Ella Fly on Twitter, and “Like” EllaFly’s Facebook Fan Page. Great giveaway! I am a follower on twitter (twitter.com/puddingingandpie) and I liked on facebook! Love this bag! I commented, tweeted (I'm @thebostonista), friended and fanned both Cafe Fashionista (although we were already facebook & twitter friends!) & Ella Fly!! This is a great giveaway!